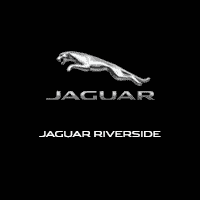 Welcome, and thanks for visiting the website of Jaguar Riverside, your Riverside Jaguar Dealership in CA. You’ll find the whole team here at Jaguar Riverside totally committed to delivering the very best possible customer experience to match the incredible quality of the vehicles we sell and maintain. Whether you’re in our showroom looking at the latest stunning Jaguar models or you’ve got your current car in for service with us, we’ll make every effort to ensure your needs are met at every turn and that your expectations are exceeded whenever possible. Our experienced and highly trained staff members are here to help with whatever you need, from information about our new and used inventory to the services offered by our highly trained and professional service center and parts center. and 2019 Jaguar models. As well as established favorites such as the Jaguar XE and Jaguar XJ sedans and the incredible F-TYPE sports car in both its coupe and convertible formats, we also have the new entry into the Jaguar family in the shape of the fabulous new XE compact sedan. That’s not all though, as we’re also proud to now have the sensational F-PACE as well, which the first foray into the world of luxury crossover SUVs for Jaguar, and a model that’s already taking the auto industry by storm. As well as being able to search by individual model, you’re also able to search our own dealer specials, featured vehicles and manufacturer offers, to find the new 2018 Jaguar that’s right for you. But if you’re more interested in a fantastic deal on a quality pre-owned Jaguar, we’ve got that covered too here at Jaguar Riverside. Just like our new cars, our entire inventory of certified pre-owned Jaguar models is also available to browse online. By clicking on a vehicle that catches your eye you’ll be able to see a wide selection of images and even a video of the actual car, as well as a comprehensive list of equipment, features and other details so you know as much as you can about the vehicle before coming down to see us for a test drive. Our service center and parts center is also here and ready to help with all your servicing and maintenance requirements. In the service and parts center section of our site you’ll find all the opening hours for both departments, as well as details of service specials, parts specials, accessories specials and our Pre-Paid Jaguar Maintenance program. In the same section, you can also find online forms to fill in and send to request a service appointment or to obtain information about specific parts and their availability. As a full-service Jaguar dealership, we also have a highly professional finance center to help with funding your new or pre-owned Jaguar purchase. Our expert finance specialists are ready and waiting to provide details of a wide array of lease and loan options, which can make buying your new or used vehicle as quick, easy and affordable as possible. Whatever your circumstances, our auto finance professionals have all the funding options you need to help make your dream Jaguar become a reality. So, don’t forget to check out our extensive new and pre-owned inventory online before contacting us through our contact forms, giving us a call, or coming down to see us in person here at Jaguar Riverside.